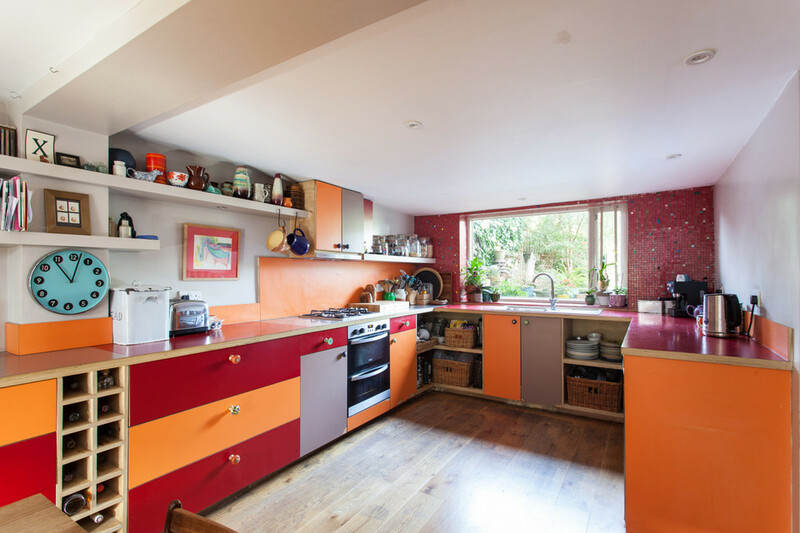 Choumert Road, Peckham Rye, Southwark SE15 - Freehold 4 bed semi-detached house for sale - Munday's Estate Agents Ltd. 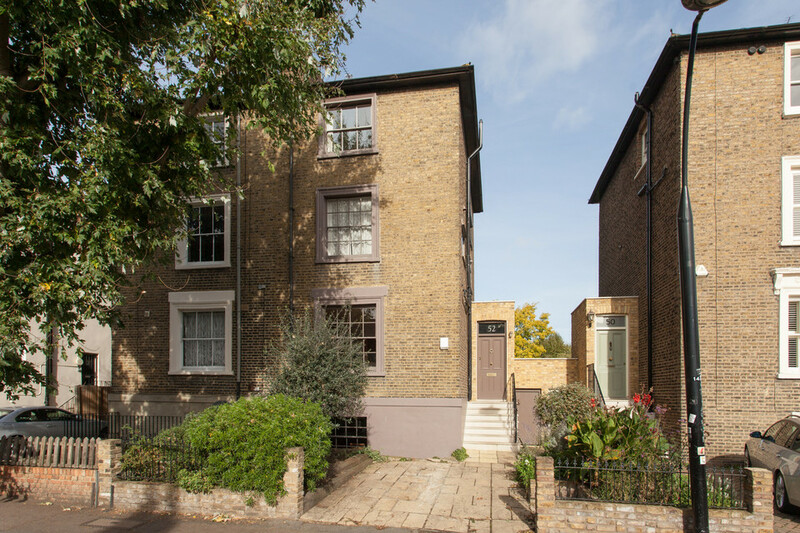 Built in 1845 and the subject of recent, careful refurbishment, this early-Victorian, semi-detached house of almost 1800 square feet delivers four floors, four/five bedrooms, a huge kitchen/diner, bath and shower rooms, off street parking, side access and a huge garden of 110ft. 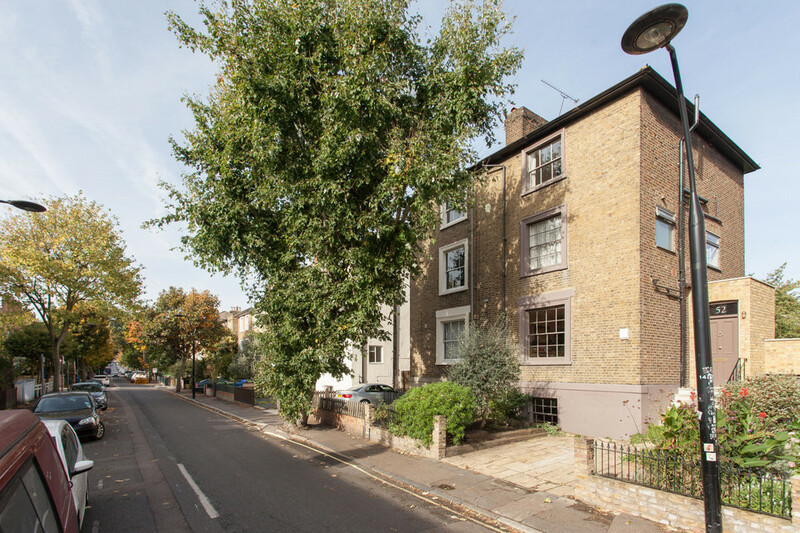 Find it right in the centre of the best bit of Peckham, within Holly Grove conservation area. 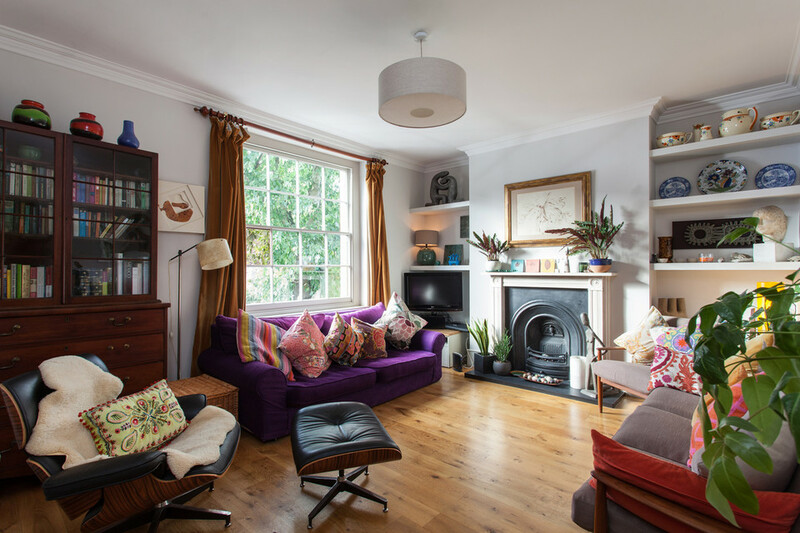 You’re really close to Peckham Rye Station (Zone 2), Bellenden Road and Rye Lane. Freehold. The front door is set to the side of the house and reached up a few steps. 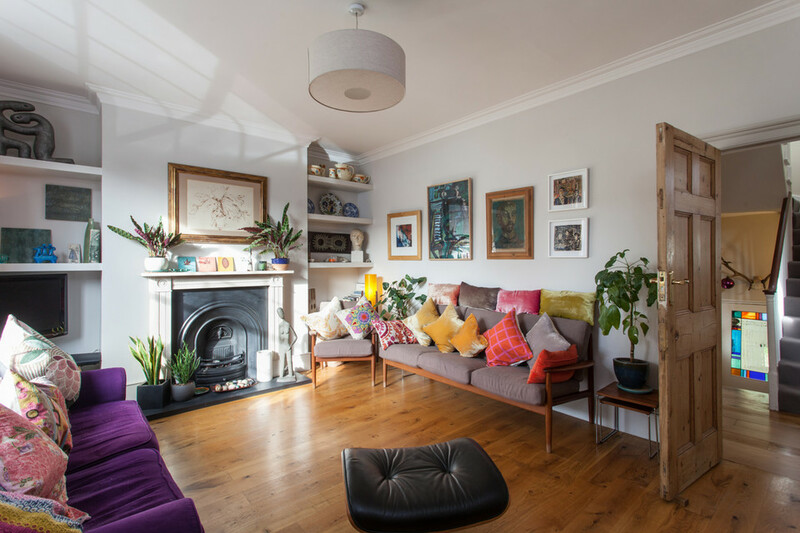 Open into a generous hall space and the main reception room is off to your left and left again, at 16ft by nearly 13, with solid wood floors, an attractive fireplace, bespoke alcove shelving and a large window onto pleasing, tree-lined street views. 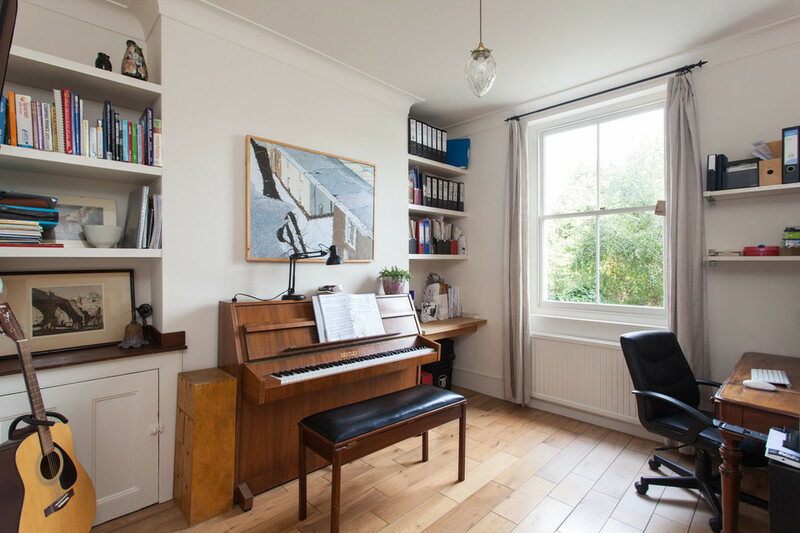 Set to the rear of the upper ground floor is a smart, flexible room with garden views that can be utilised as an additional reception space, music/study/hobby room, or fifth double bedroom. 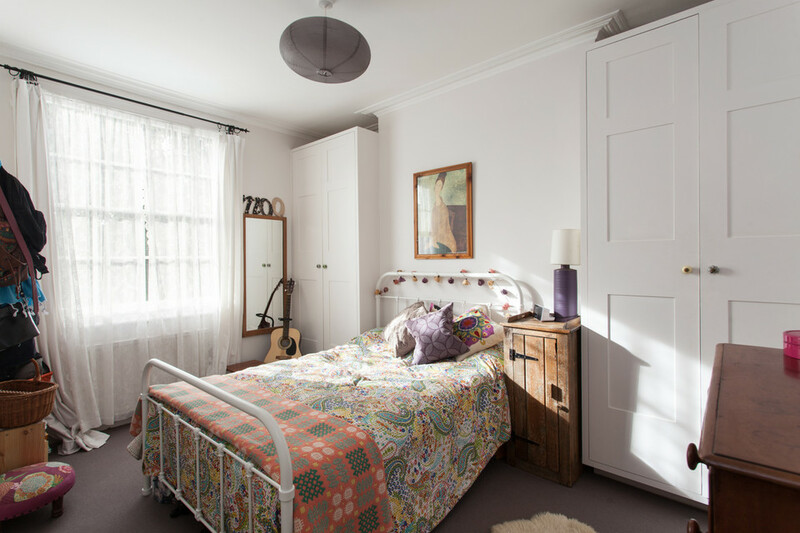 The room features an original cupboard and useful alcove shelving, as next door. 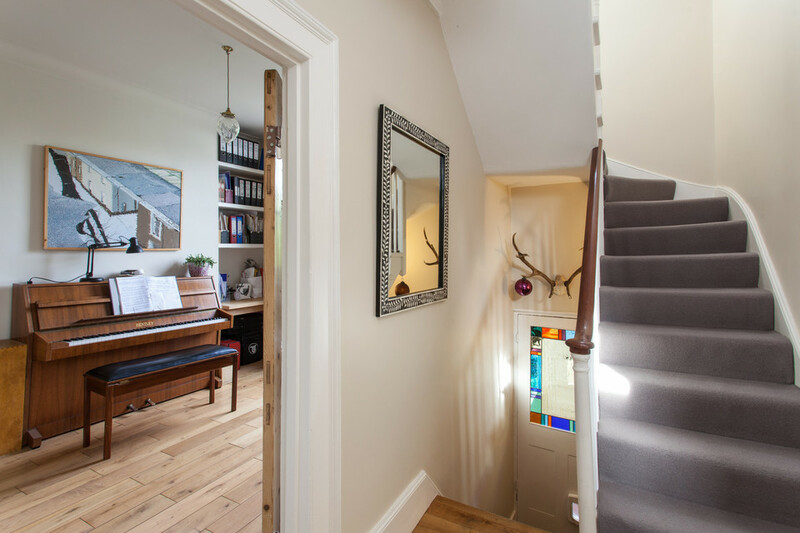 Head down a few stairs to a utility room incorporating a downstairs w.c. (a must for the garden parties you must throw). It’s a really useful space for muddy boots and bikes and the like. 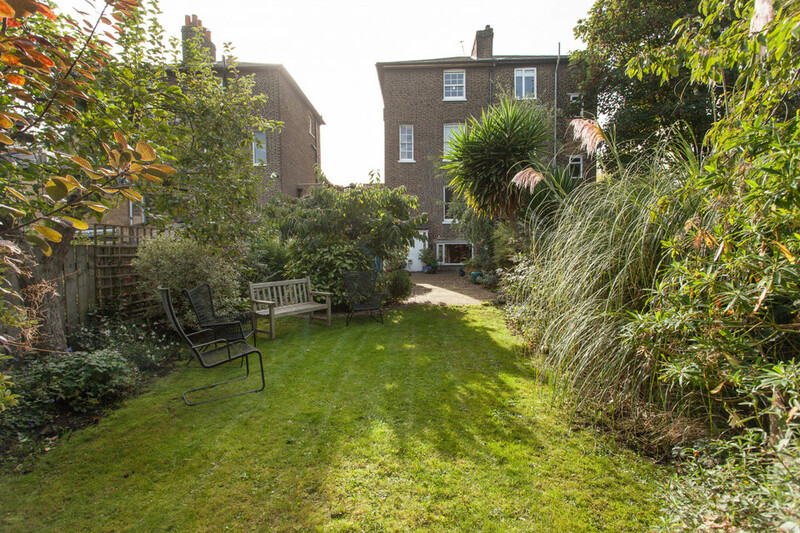 It also provides you with access to the garden which is a total head-turner: well-established and extremely generous, with lawned and paved areas, plus busy borders. 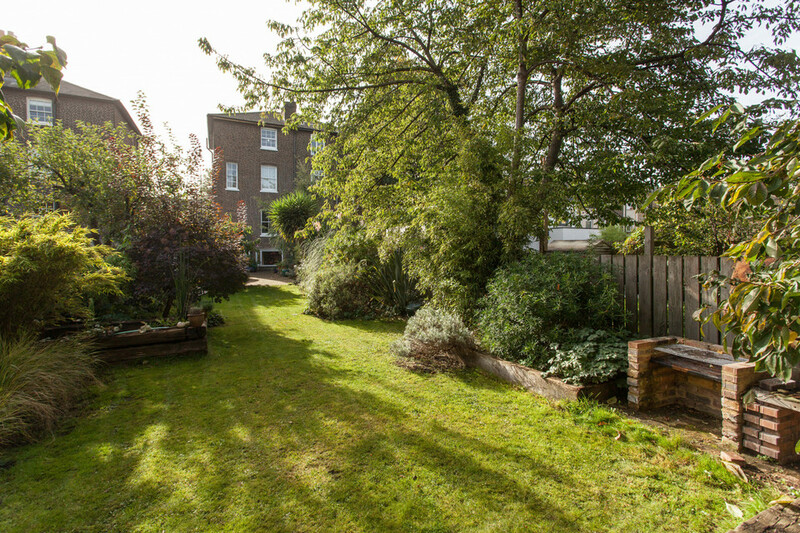 It’s rare to find a garden of this size and offering this much privacy in the postcode. 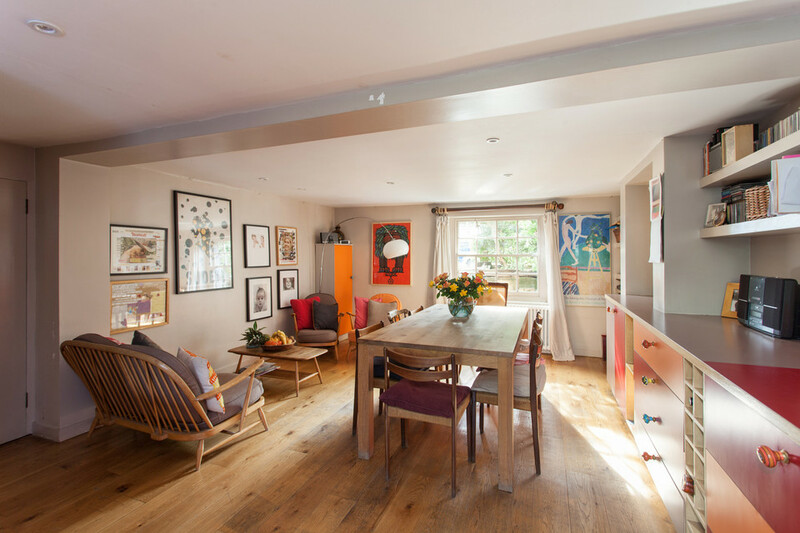 The lower ground floor (again, with lovely solid wood floors) is home exclusively to a large kitchen/diner of 25ft by 15ft. 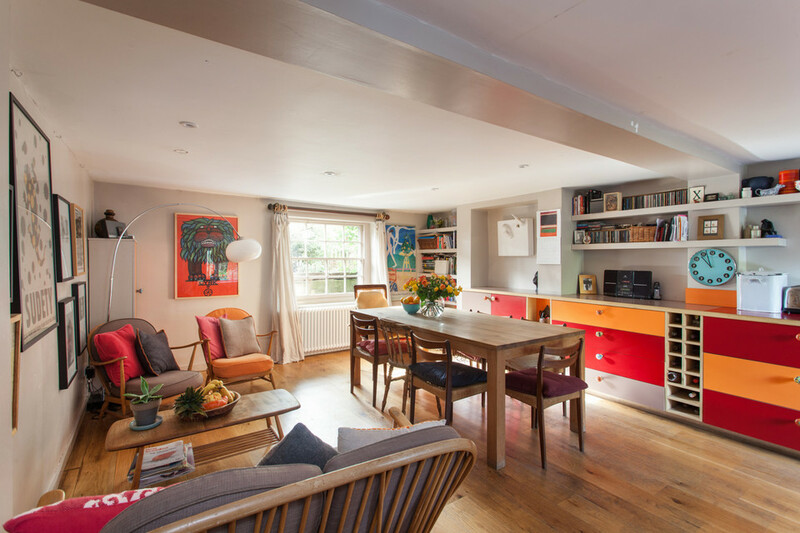 It’s a natural family or entertaining through-space, and has a big pantry and a hand-built, timeless kitchen with plenty of base units plus some wall units and on-trend open shelving. There’s space for the usual appliances. Long garden views can be enjoyed sink-side. 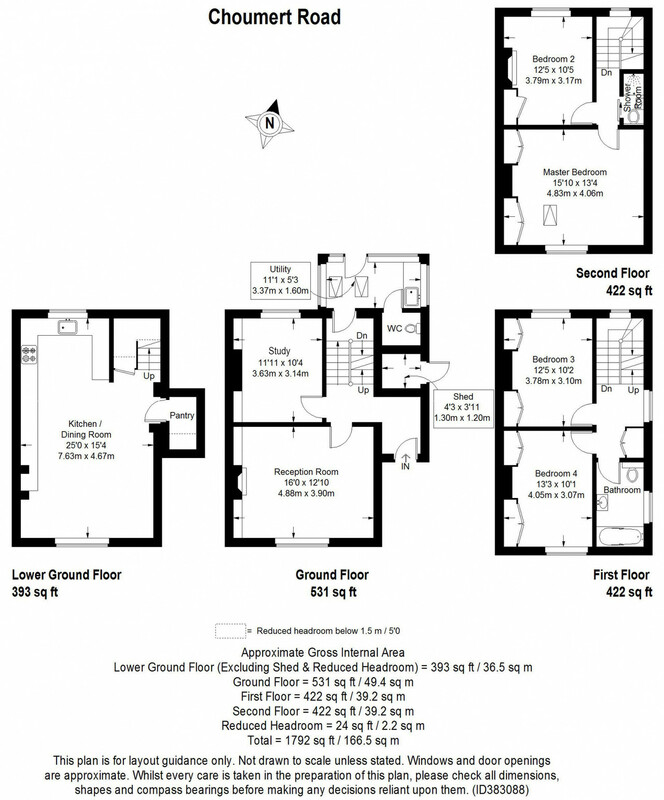 Upstairs to the first floor for two large double bedrooms (13ft by 10ft and 12ft by 10ft respectively). Both of these have deep, hand-built alcove wardrobes and pale carpets. 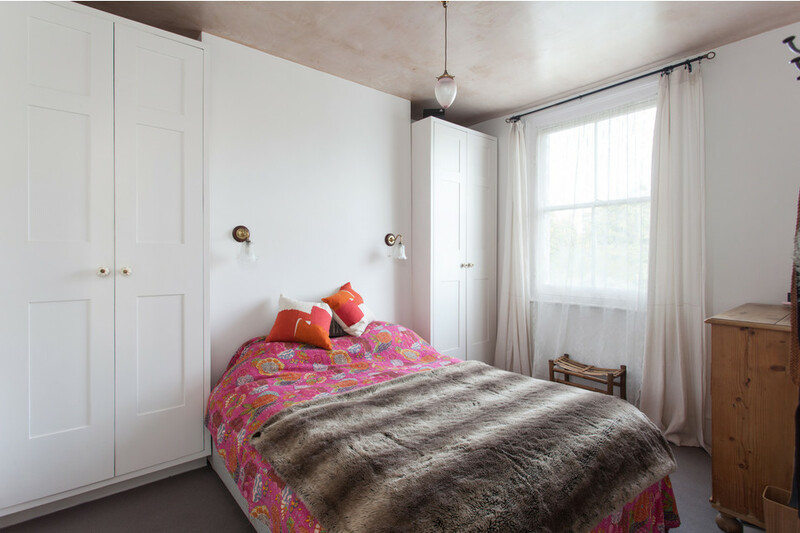 The bedroom at the rear has a noteworthy polished plaster ceiling, too. There’s a handy linen cupboard on the windowed-landing (the joys of being semi-detached are many!) 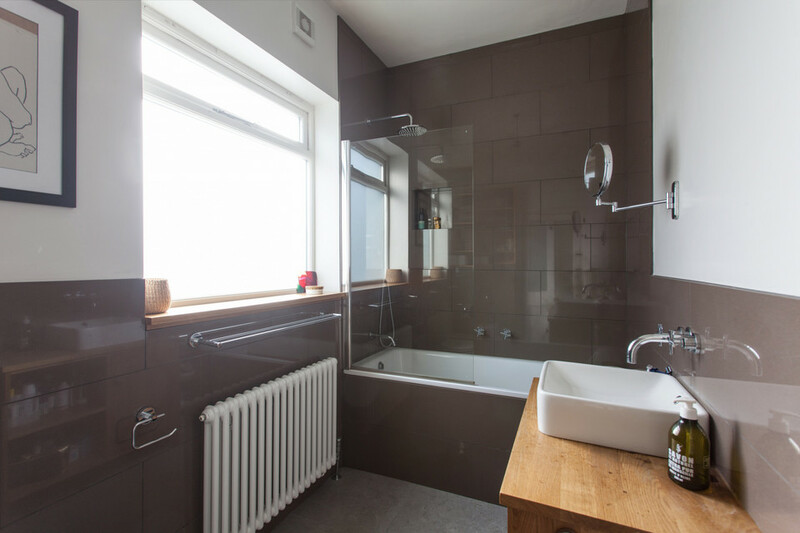 and next to this, open to the main bathroom which has a contemporary white suite, over bath shower, old school style radiator and fancy, large profile, mocha coloured tiles to the walls. Upstairs again for two further double bedrooms. The master, taking the width of the house, has an impressive vaulted ceiling and skylight window, as well as built-in alcove wardrobes. 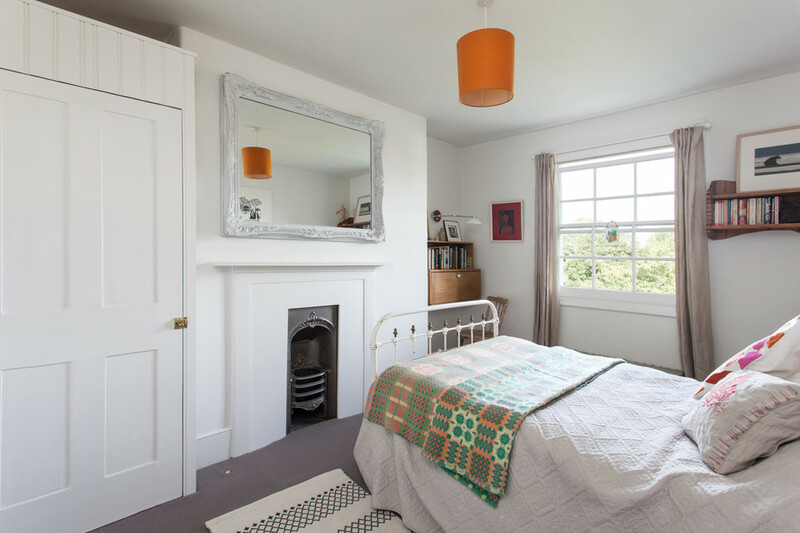 A further double bedroom, set to the rear, features a pretty original fireplace with cast iron insert, and an alcove wardrobe plus more of those garden views. 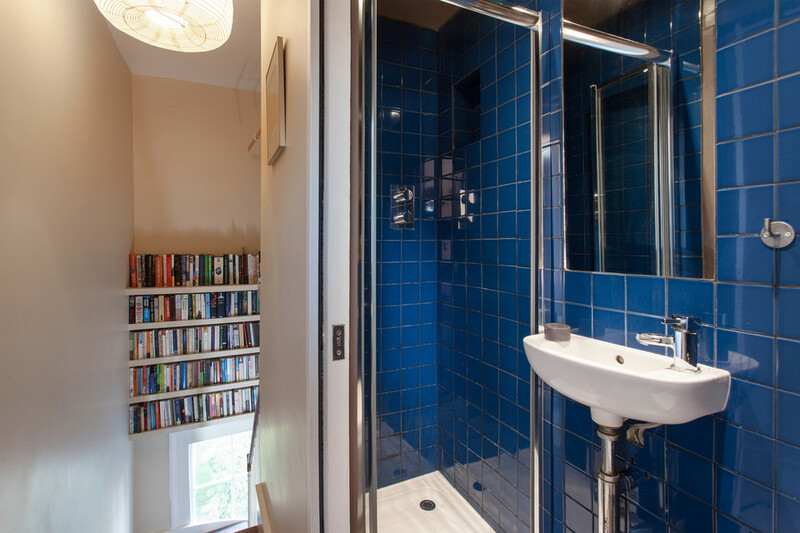 A neat and newly-installed shower room with clever sliding door completes the floor. There’s no compromising here: a special house in a brilliant location. 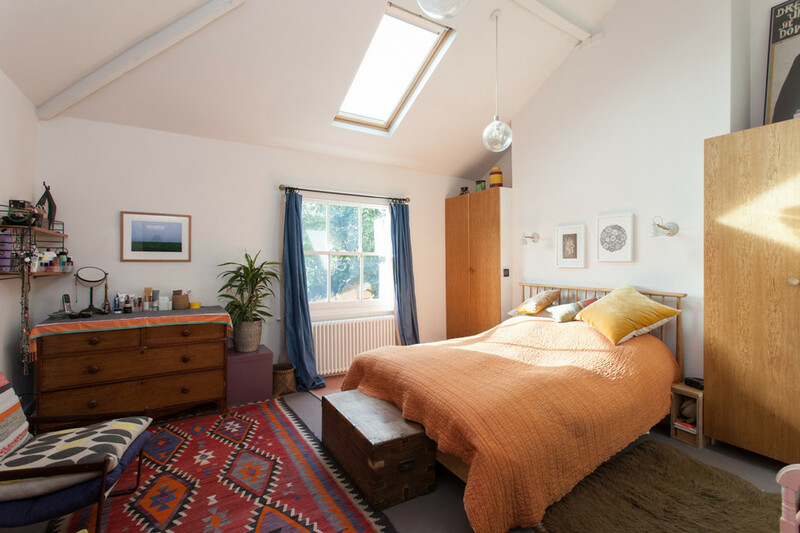 You’re a 3-4 minute walk from Peckham Rye Station (accessed from Blenheim Grove), for both Overground and main line services. It’s a 15 minute journey-time to London Victoria. You’re between two high street areas: Bellenden Road to the west and Rye Lane to the east. Bellenden Road is great for independent restaurants and independent shops. We love Review, Flock & Herd, Artusi, The Begging Bowl and Ganapati to name a few. Rye Lane is handy for fruit and veg stalls, banks and high street offerings such as Boots and Holland and Barrett, as well as trendy destinations in The Bussey Building & Copeland Park complex (including rooftop cinema), and Frank’s rooftop bar in the warm months. Choumert Road itself has some popular businesses: The Montpelier pub, Miss Tapas and Petitou cafe are examples. Camberwell and Dulwich are close for more options. We like The South London Gallery on Peckham Road, and Lordship Lane for more independent shopping, cafes and restaurants. 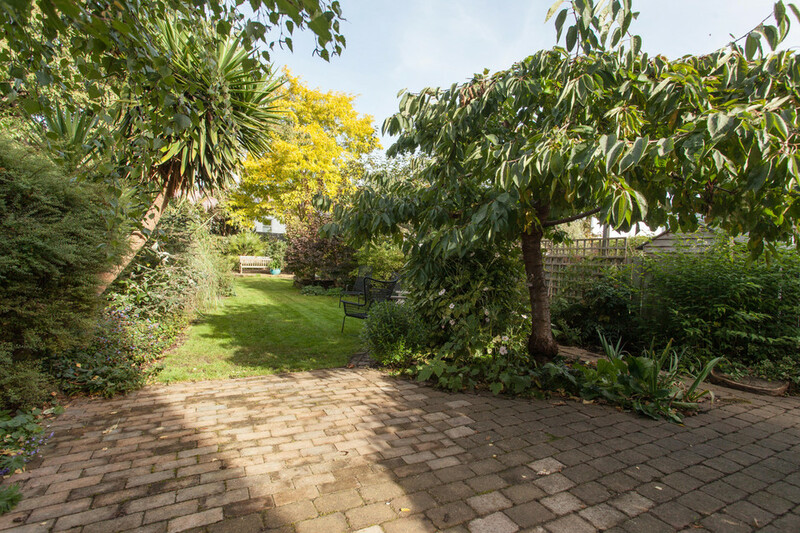 You’ve got a good chunk of Peckham’s green space with your big garden, but for more, Warwick Gardens is close by, with playground, as is Peckham Rye Park and Common’s 113 acres. Peckham Rye Park has a historic grade II listed status, plus Green Flag status since 2007. If you have little ones or they are on the horizon, the school provision is strong in this patch. 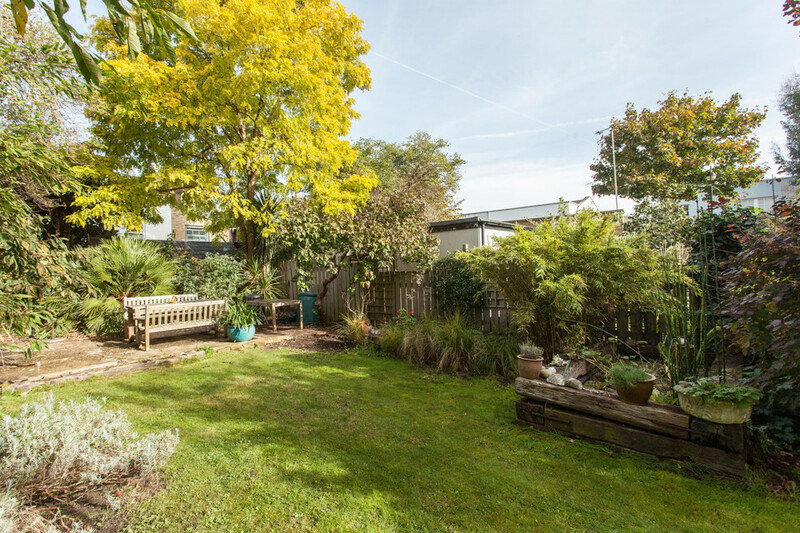 The Villa Nursery and Pre-Preparatory School (2-7) is a short walk away, on Lyndhurst Grove, and The Belham (run by Dulwich Hamlet Educational Trust) and Bellenden Primary Schools are well-regarded (3-11). Both are in the process of getting smart new school buildings, too. Peckham's bubbling with more regeneration. The station and area around it, for example, and public square, plus The Peckham Coal Line and hopefully re-opening Lido.